I broke the ground up real good 2 weeks ago to let it set. I can work the ground and plant or have to wait. I planted iron clay peas last year that did great! Yall ever tried a mix like this? Yall planting any plots? 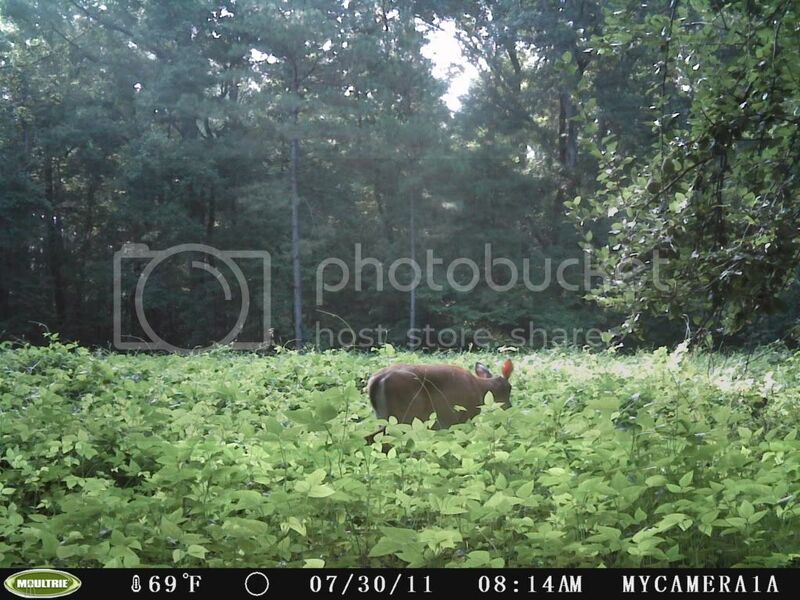 I got lots of good buck pictures off of my summer plots last year so I am ready to get them going again this year! ready in a couple of months when I need it! Sounds like a great mix !! Hope it all turns out for you !! I was able to plant the 550 yard long powerline plot in the soybean mix. lets see if I can get some rain on it before the crows get full! I will post some pics to see how it is growing. Its been planted 4 days and already had 2 rains on it! I usually dont have that kind of luck! How big is the I/C plot? The iron clay plot is 1 & 1/2 acre. This is a couple pic of it from last year. Sweet... I wish I had a plot that big as IC peas would def. be in it. My small plots looked like that the 1st year. 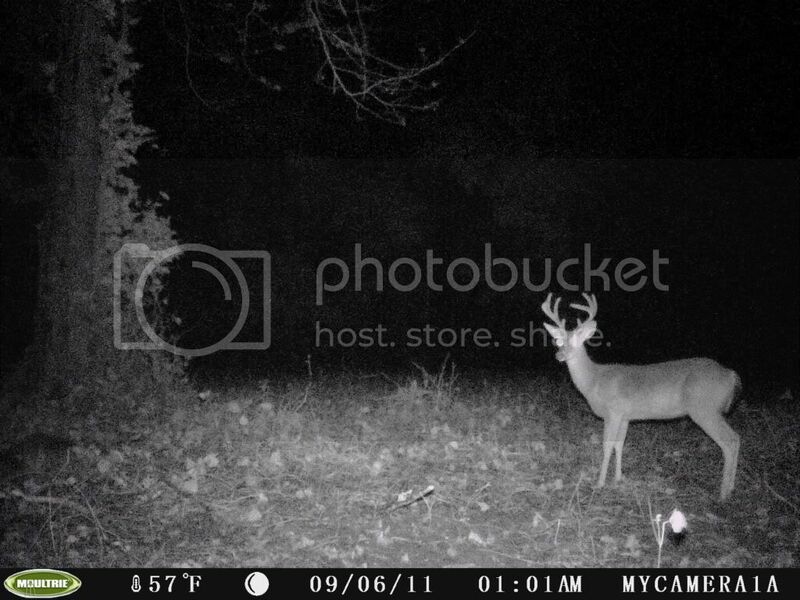 2nd year...no chance as the deer didn't let it get up past a few inches. Did your I/C peas last through the browsing pressure? Or did they just mow it down and that was that? j-bo wrote: Sweet... I wish I had a plot that big as IC peas would def. be in it. until it was time to do my fall plot. 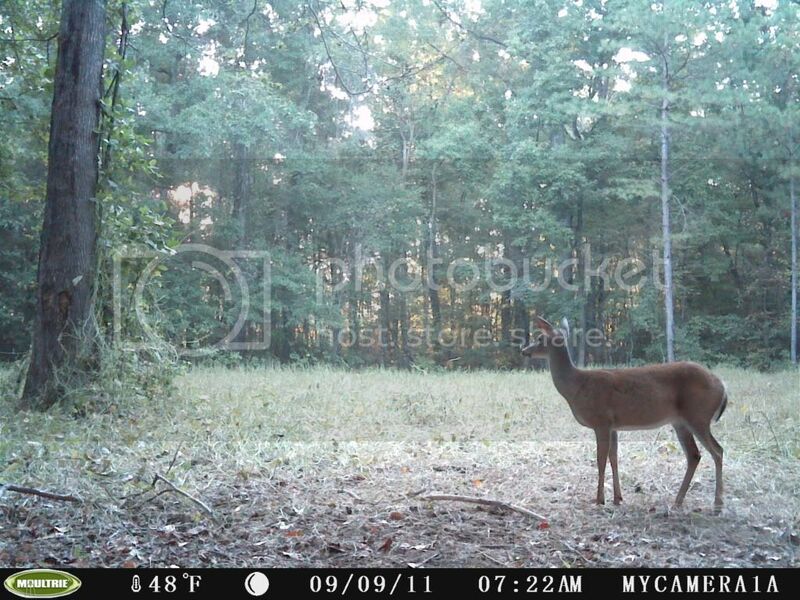 Bucks was hitin them hard! Good deal huntall.....I might try fencing my small plot and putting in some eagle soybeans or IC peas. I know the Eagles really come back fairly well.